CHESTERTOWN, MD— Pulitzer Prize-winning biographer Edmund Morris, acclaimed for his bestselling books on Theodore Roosevelt and Ronald Reagan, will take the stage on Saturday, April 21 in the next installment of the 2012 “American Pictures” series at the Smithsonian. Morris will offer a provocative take on Reagan through a close look at a short video sequence of the president’s visit to a German concentration camp. The footage helped inspire his 1999 biography Dutch: A Memoir of Ronald Reagan. A joint program of Washington College, the National Portrait Gallery and the Smithsonian American Art Museum, the “American Pictures” series offers a highly original approach to art, pairing great works with leading figures of contemporary American culture. Each talk features an eminent writer, artist, critic or historian who chooses a single favorite image to explore, revealing how artworks reflect American identity and inspire creativity in many different fields. One of America’s most celebrated biographers, Edmund Morris spent 14 years working on a one-volume life of Reagan, with extensive cooperation from the president during and after his time in the White House. The resulting book, an innovative and controversial blend of research and fiction, has been compared to Truman Capote’s In Cold Blood. Reagan’s visit to Bergen-Belsen took place during a controversial 1985 trip to Germany, in the course of which he also laid a wreath at a military cemetery where members of Hitler’s Waffen-SS were buried. 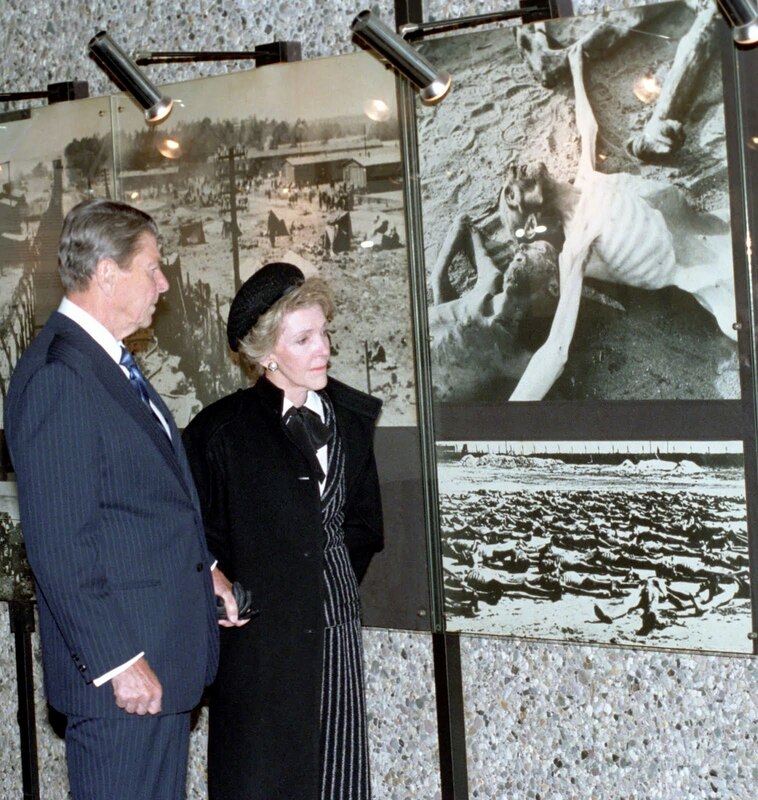 In the brief video clip that Morris will examine, taken from an NBC News report, the president and his wife, Nancy, tour a museum at the former concentration camp and come face-to-face with historic images of the Holocaust. Morris won both the Pulitzer Prize and the National Book Award in 1980 for The Rise of Theodore Roosevelt, the first installment in what has become the definitive three-volume biography of the 26th President. The second volume of the trilogy, Theodore Rex, followed in 2001 and won the Los Angeles Times Book Prize for Biography. The third, the New York Times bestseller Colonel Roosevelt, was published in 2010. 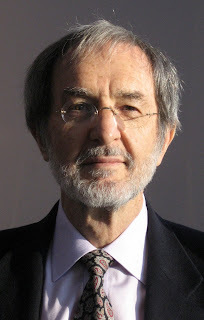 Morris’s next book, The Bumstitch and Other Essays, 1972-2012, will be published by Random House in 2012. All “American Pictures” events take place at the Smithsonian American Art Museum and National Portrait Gallery, located at 8th and G Streets, N.W., in Washington, D.C. Morris’s talk will begin at 2 p.m. in the museums’ Nan Tucker McEvoy Auditorium. Free tickets are available beginning at 1:30 p.m. at the G Street lobby information desk on a first-come, first-served basis. No reservations are necessary for the general public. This spring's all-star line-up features four of America’s most celebrated and multi-talented writers: Morris; renowned illustrator and writer Maira Kalman (who appeared on March 24); journalist, travel writer and historian Tony Horwitz (who spoke on April 7); and memoirist, novelist, and musician James McBride, who will conclude the series on May 12. The series director is historian Adam Goodheart, Hodson Trust-Griswold Director of Washington College’s C.V. Starr Center for the Study of the American Experience. Students, faculty, staff, alumni and friends of Washington College may reserve tickets to American Pictures events on a first-come, first-served basis. The Starr Center will also run free buses from Chestertown to Washington for each talk. Buses will depart at 10:30 a.m. and leave D.C. for the return trip at 7:30 pm. For details or to make a reservation, please call 410-810-7165 or e-mail lkitz2@washcoll.edu. For more information, visit http://starrcenter.washcoll.edu. Founded in 1782 under the personal patronage of its namesake, Washington College in Chestertown, Maryland upholds a tradition of excellence and innovation in the liberal arts. The American Pictures series is a project of the college’s C.V. Starr Center for the Study of the American Experience and its Department of Art and Art History. The Smithsonian American Art Museum, the nation’s first collection of American art, is an unparalleled record of the American experience. The collection captures the aspirations, character and imagination of the American people from the colonial period to today.